This text is part of the Myself & Others Book Three Core Set. 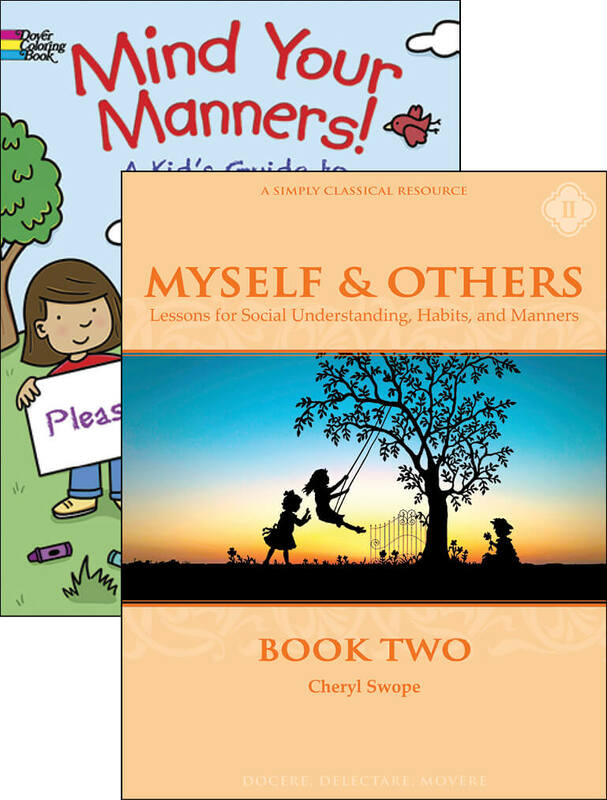 What if you could teach manners in simple lessons? What if your children could become more respectful, thoughtful, and courteous? What if someone created teachable lessons for you and placed them into a 14-week program? 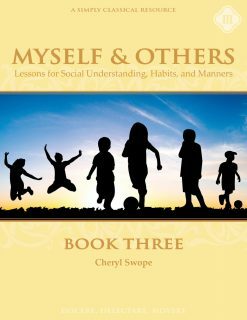 From the creators of the award-winning Simply Classical Curriculum, Memoria Press and Cheryl Swope, M.Ed., bring you Myself & Others: Lessons for Social Understanding, Habits, and Manners. Designed for typical children and for children who have diﬃculties with learning, behavior, or language, or face challenges such as autism, this program utilizes visual aids, brief lessons, and classic literature to bring a little more civility to your everyday life. Myself & Others Book Three is suitable for children age or ability 7-10. Healthy Happy Habits is written on a third-grade level. The lessons are short and quite simple, yet they teach basic, every-day habits that can greatly benefit the child, both in physical safety and well-being and in the art of getting along with others. As children grow, they must be taught to take responsibility for their actions. They must learn that a person is very much what he teaches himself to be. Thus the emphasis on habits. You can learn to be clean and neat. You can learn to practice safety and to help others. You can learn to be courteous and pleasant. 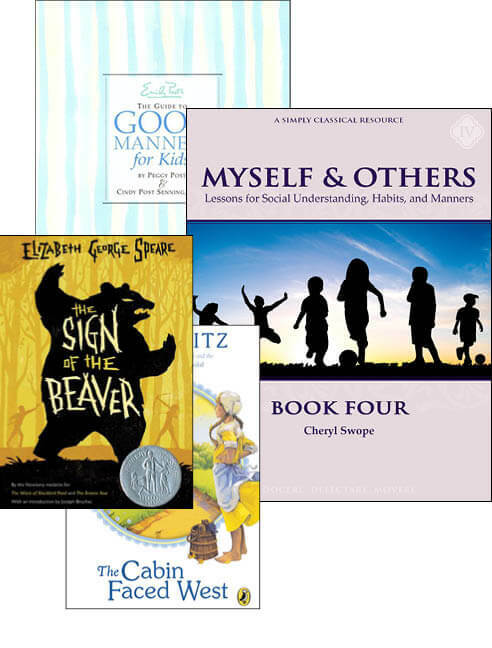 Aesop's Fables for Children includes all of the timeless fables. Illustrated by Milo Winter, this book is accompanied with a Read-and-Listen CD. Teach from your favorite translation of Aesop’s Fables. The simplicity of New American Cursive and the brevity of lessons will assist students to become stronger, more capable thinkers and writers. Teaching instructions are included. From the publisher: Jesse Stuart's A Penny's Worth of Character is a lesson in honesty that the reader, young or old, will not easily forget. This delightful story is full of details from Stuart's native eastern Kentucky. From the publisher: "Did Mama sing every day?" Caleb asks his sister Anna. This children's literature classic is perfect for fans of Laura Ingalls Wilder's Little House on the Prairie books, historical fiction, and timeless stories using rich and beautiful language. Sarah, Plain and Tallgently explores themes of abandonment, loss and love. 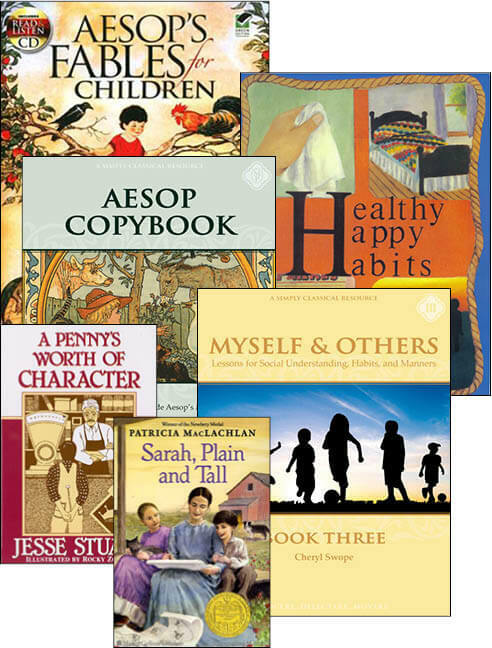 Myself & Others Book Three includes structured exercises and is used in conjunction with the Aesop Copybook. It assumes introductory knowledge and continues teaching and practicing common rules and manners, developing good safety and health habits, and increasing social perception for service to others. This program is suitable for students age or ability 7-10. 5) Listening – daily readings with inspiring stories for delight, moral imagination, character and virtue. Myself & Others is a program for anyone who wishes to ameliorate the lamentable condition of respect, manners, and appreciation demonstrated by many children today. As parents, grandparents, teachers, and onlookers, you may be appalled by the deplorable state of courtesy and civility in children and youth as a whole. We created Myself & Others to help you do your part toward restoring common decency in our culture – one student at a time. Our program is also for the individual child with challenges and special learning needs. Some children struggle with social understanding, cultivating good habits, and learning manners far more than other children. Children – such as those with autism, attention or executive function difficulties, mental illness, medical or neurological conditions, learning or language disabilities, or intellectual disability – require explicit, bite-sized lessons in knowledge and skills that other children seem to absorb simply by residing in the homes of good families. Yet standard “social skills” programs can be overly clinical or sterile, uninspiring, and oddly self-centered. Our 14-week programs are designed with 4-day weekly lessons to be taught in as little as 30-40 minutes per day. This allows for each set to be taught in a single semester or as a summer course. Each set is a stand-alone course that can be taught alongside any curriculum in the home or classroom.